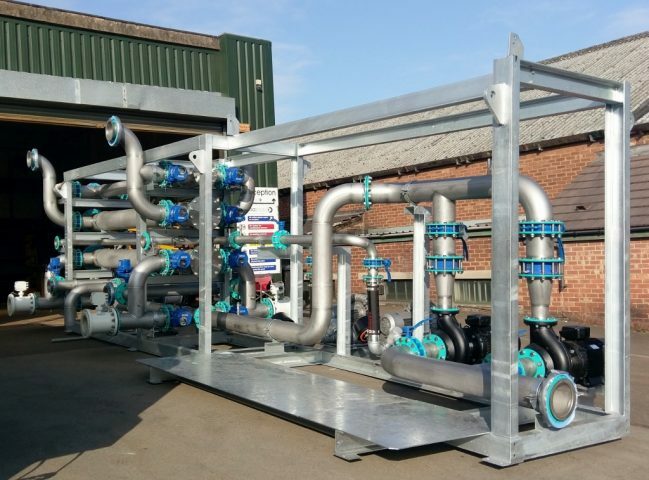 After the success of our first FilterClear skid fabrication, assembly and install we were approached by BlueWater Bio for a second Filterclear Skid. The package was larger and incorporated a control panel. 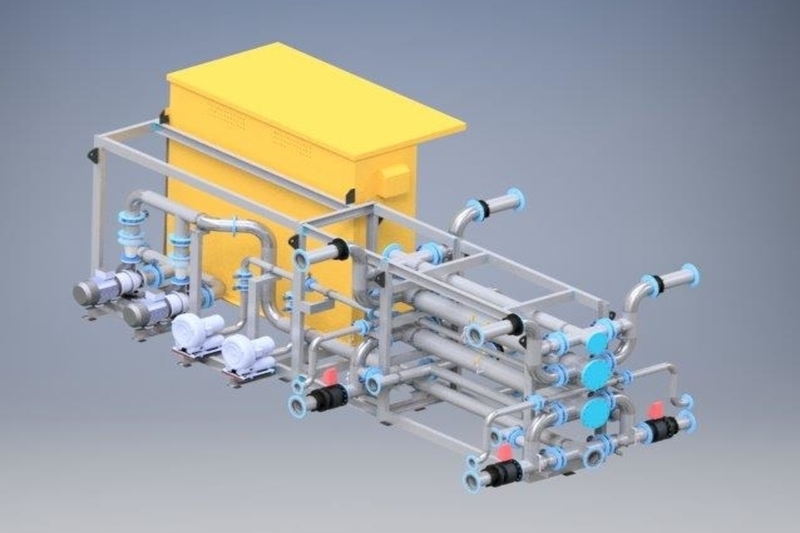 From the concept model Alpha Plus project team offered a number of suggestions that would reduce the size of the unit, by altering the pipework design the overall height of the unit was reduced and allowed for easier access to valves. Incorporating lifting lugs to the frame was also advised and the use of a separate reusable lifting frame. Structural design and detailed 3d model. Assembly, including free issue pumps, blowers and valves. 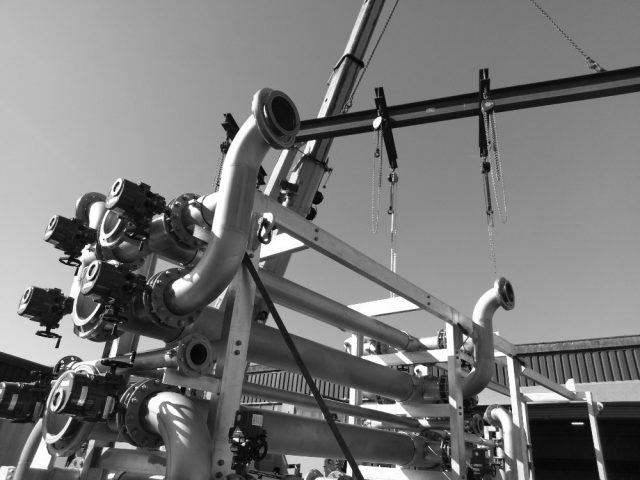 Design, fabrication, testing and certification of a reusable lifting frame. Pressure Testing and Factory Acceptance Testing. 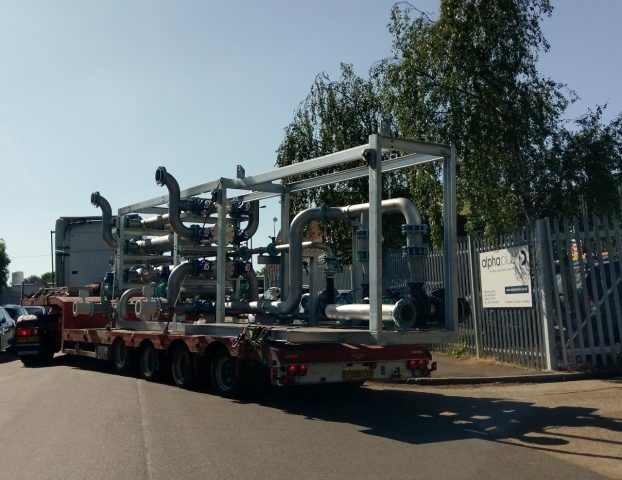 As a result of the early engagement with Bluewater Bio we were able to realise efficiencies in terms of the number of welds and the overall size of the unit. Transport restrictions were considered well in advance along with Lifting considerations. 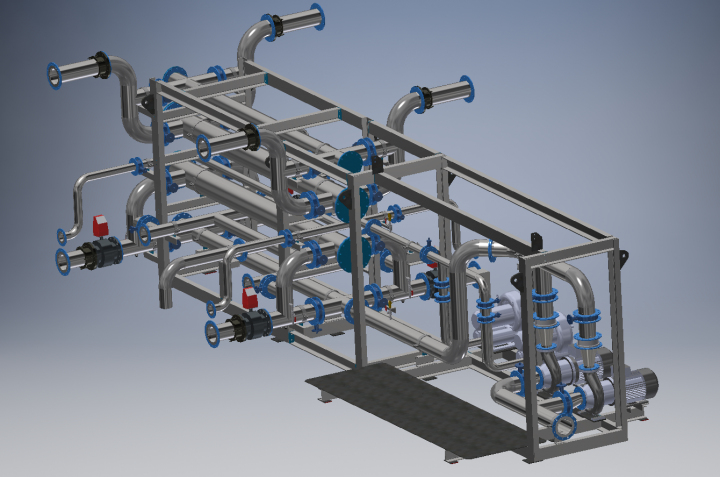 Alpha Plus Designers detailed the unit and conducted a design review with Bluewater Bio. 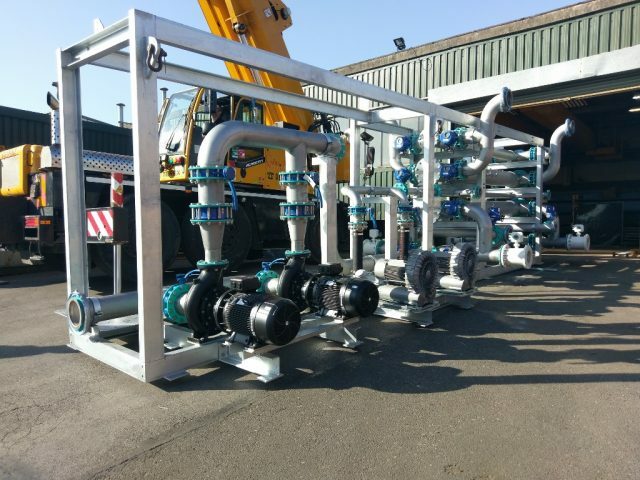 Fabrication and build was carried out in Alpha Plus factory incorporating free issued valves and instrumentation allowing greater control in terms of quality, access and health and safety. Pipe Supports and Lifting Lugs were incorporated at the design stage. Pressure testing and Factory Acceptance Testing was carried out within the comfort of our established workshop. Testing was witnessed by Bluewater Bio. 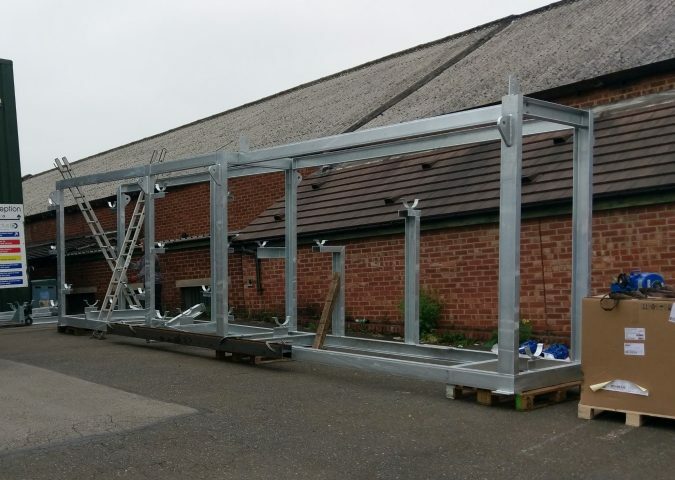 Bespoke Lifting beam was designed, fabricated and LOLER tested. Using Offsite Manufacturing principals, early engagement and collaboration transport restrictions were considered well in advance. Overall this has been a very successful project and has highlighted the benefits of early engagement, collaboration and factory thinking.